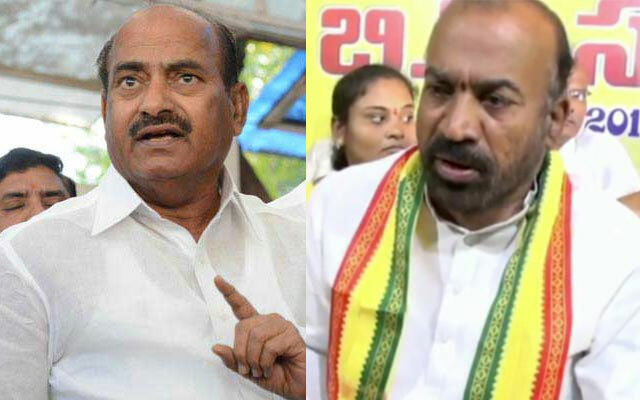 All isn't well between Anantapur MP JC Diwakar Reddy and MLA Prabhakar Chowdary although they belong to the same political party since 2014. Prabhakar Chowdary opposed the entry of JC into TDP ahead of 2014 Elections. He, however, had gone silent after the intervention of Chandrababu Naidu. That doesn't mean they had a patch-up. There were frequent clashes between both the Pubic Representatives. And now, Prabhakar Chowdary made it clear he won't tolerate if JC Diwakar Reddy speaks in a disrespectful manner about him. JC raised objection when MLA proposed NTR's name for Peace Memorial Hall. On the other hand, Prabhakar Chowdary isn't okay with the Anantapur MP inaugurating the Ram Nagar Flyover. Political heat in Anantapur District increased with Prabhakar Chowdary claiming he have the list of atrocities committed by JC. The Legislator told he would be meeting CM Chandrababu Naidu soon to report against the wrongdoings of the Sitting MP. People of Anantapur are vexed with the group wars in Telugu Desam. They had the feeling that TDP Leadership failed to resolve the issues between its leaders even after close to five years. Hyd - 2nd Most Dynamic City In The World!